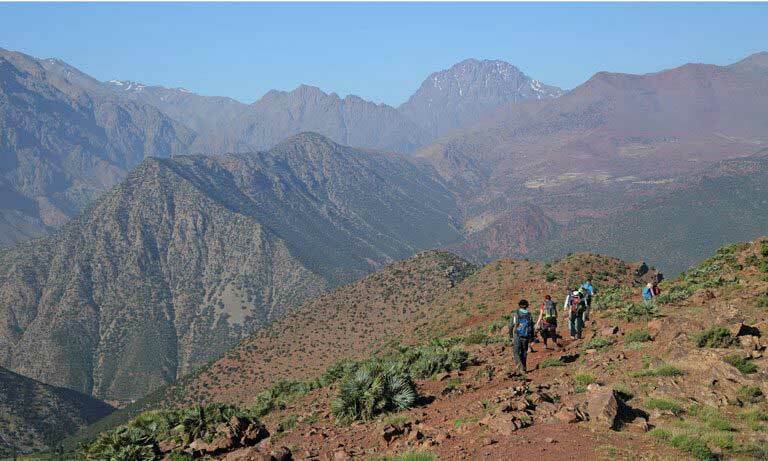 Atlas mountains traverse is a long adventure experience with beautiful trails and wild mountains. 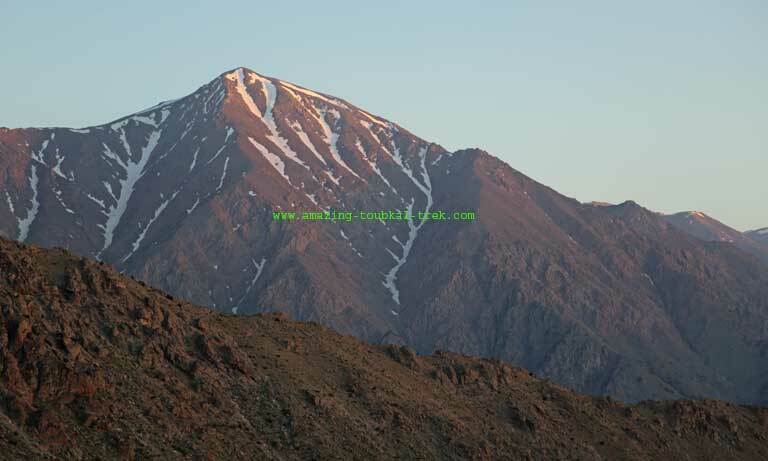 We invite you to discover the different ranges of the High Atlas in Morocco on foot. Atlas mountains traverse trek offers stunning panoramic views, diversity of the high Atlas and the warm welcome of the Berbers. You will be for 18 days on mule tracks, and you will climb Toubkal and Mgoun, the most famous peaks in Morocco. – Visit the village of Magdaz, was classified by UNESCO as the most beautiful village in Morocco for the architecture. – Discover the plateau of Yagour and prehistoric rock carving. Arrival at Marrakech, you will spend the night in a hotel. Transfer from Marrakech to the valley. Overnight in a local guesthouse. 5 hours drive. Trek from the valley to the vast Tarkdit’s plateau, in the heart of the high Atlas mountains. The ascent of Mgoun, the most remote and committing of the 4000m peaks in the Atlas. The trek continues to the beautiful valley of Tassaout. 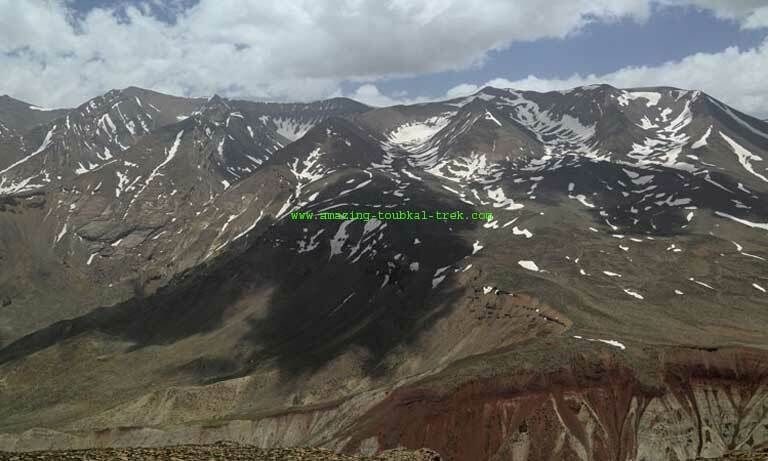 Transfer from Mgoun region to Toubkal region, to the Zat Valley. Exploring the plateau of Yagour. Exploring Ourika Valley and Toubkal valleys. The ascent of Toubkal, North Africa, and Morocco’s highest peak. Trek down from Toubkal to Imlil, then transfer back to Marrakech. 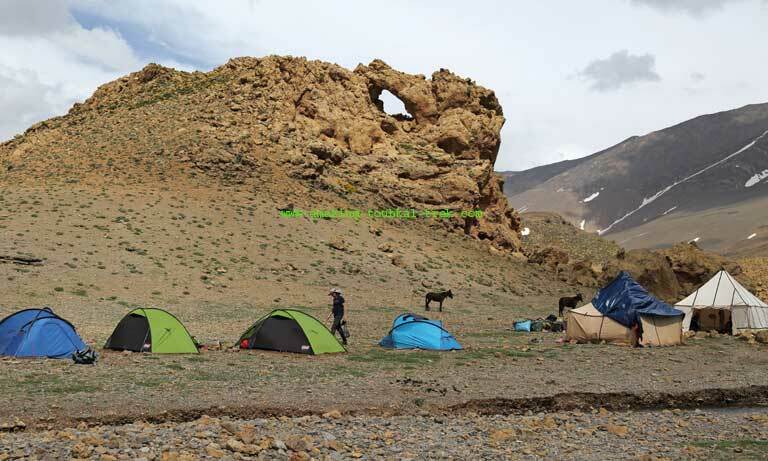 – Atlas mountains traverse is available and can be arranged for groups of all sizes. – Further discounts are available for group sizes of over 8 people. Atlas mountains traverse to explore the largest of the trekking regions in Morocco. Atlas Mountains Traverse, High Atlas long Traverse Trek.